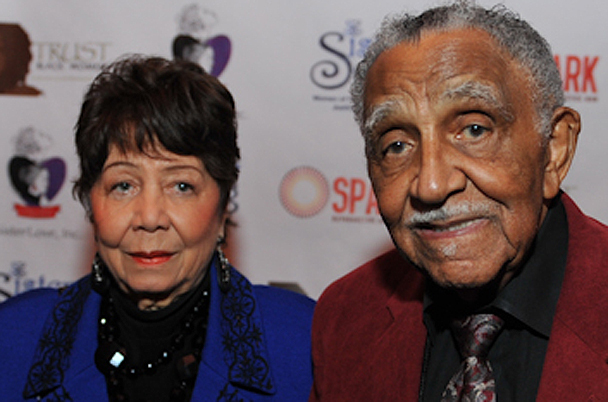 We are saddned to hear of the passing of Evelyn Lowery, wife to Civil Rights Activist Joseph E. Lowery, who died overnight after complications caused by a recent stroke according to The Atlanta Journal Constitution. Evelyn Lowery was a fearless foot soldier for the Civil Rights Movement by the side of her husband Joseph E. Lowery through peaceful marches, demonstrations, and creating the SCLC and W.O.M.E.N. in 1979. Despite being jailed, shot at and receiving bomb threats she continued on with her fight for the rights of all. Evelyn spear headed several programs to educate and uplift women, children, and families that were working to carry out the dream of Martin Luther King Jr; including launching the Drum Majorfor Justice Awards. What may not have been recorded in history is the love and partnership she shared with her husband Joseph E. Lowery, which was magnified in his comments in an article from The Atlanta Journal Constitution. Evelyn Lowery will be remembered for her accomplishments and her legacy will carry on through her three daughters, grandchildren, cherished husband, and many more who adopted her in to their hearts as ‘Aunt Evelyn’. The Atlanta Journal Constitution has opened a guest book for all to pay tribute to Evelyn Lowery and leave condolences for the family. ← Previous Story Happy Birthday C.B. Fletcher!!! !